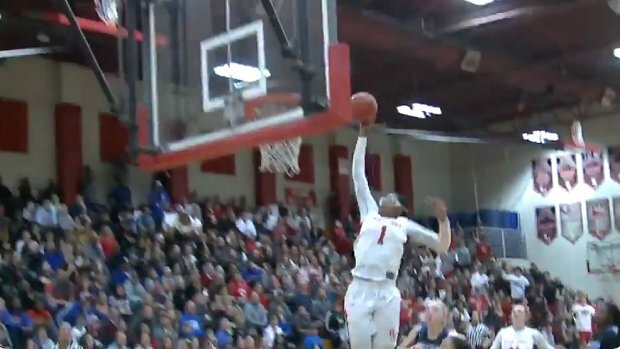 6'1" Fran Belibi threw down the first alley-oop in girls HS history. Fran Belibi of @RJHSGDBball threw one down in the Raiders' 79-52 win over No. 1 Grandview tonight! !